Wood is the best material to fill any interior with warmth and coziness, yesterday we shared some ideas to repurpose wood logs. 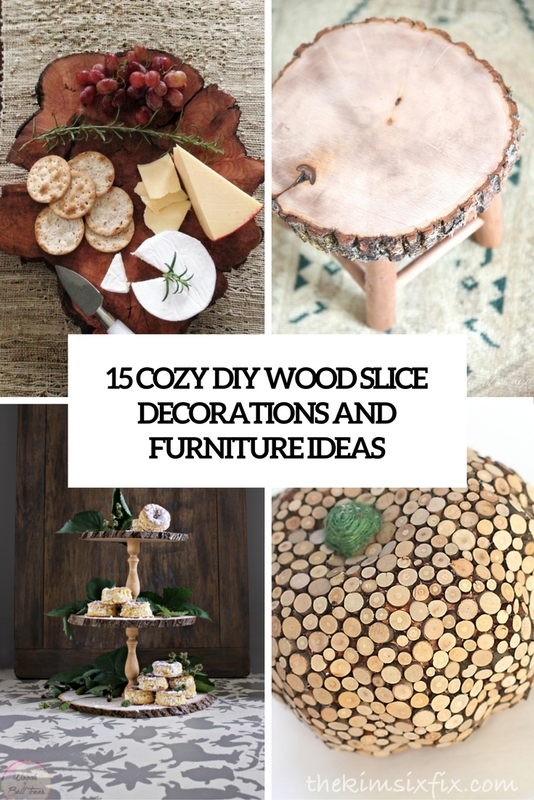 Today I’d like to continue the topic of warm décor for fall with wood slice crafts, which are even easier to handle with than wood logs. 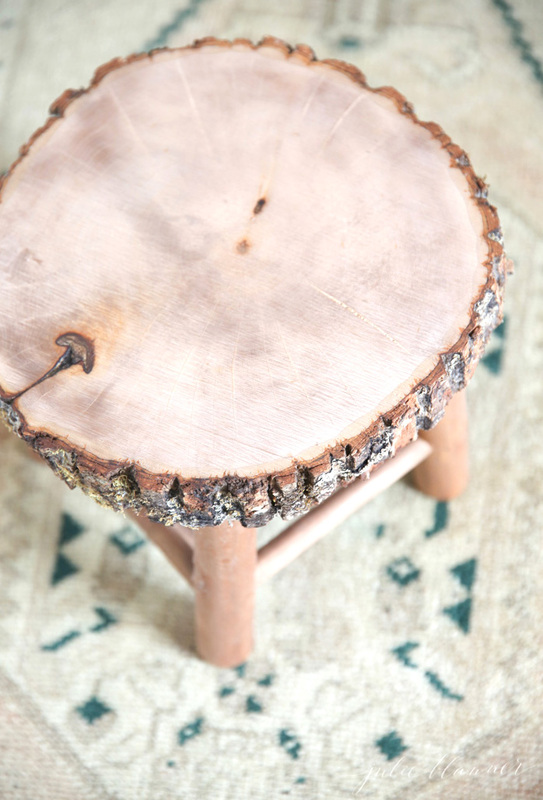 If you’ve got a large wood slice and don’t know how to use it, make a stool. Sand and finish the slice as you want, then just find unnecessary legs and attach them to the slice. Such a cozy stool will bring a warm touch to your kitchen, bathroom or kid’s room and you can also use it as a nightstand. Another idea for a large wood slice is a hanging plant holder. 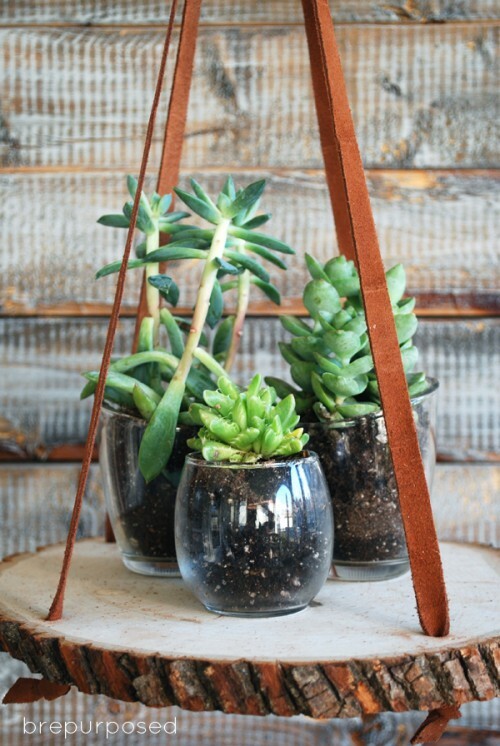 Attach rope or leather strings to the slice, then hang this piece where you want, place planters and other stuff. If you have very little space in the bedroom, this slice will be a great nightstand. 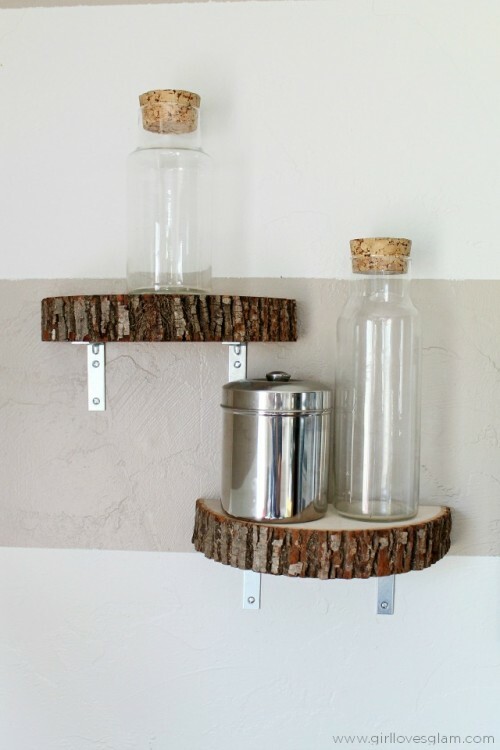 Cut your wood slice in halves and attach them to the walls to get simple rustic shelves. The size and the look of these shelves is up to you, and they may be used in various spaces. Need a serving tray? Just take a large wood slice, sand it and paint as you like. To make it smooth cover the tray with a clear finish after it dries. Serve breakfast in bed for your love! Small birch slices will be a nice material for a placemat. Glue the slices to burlap, then seal. Such a placemat will be a nice decoration for the coming Thanksgiving. 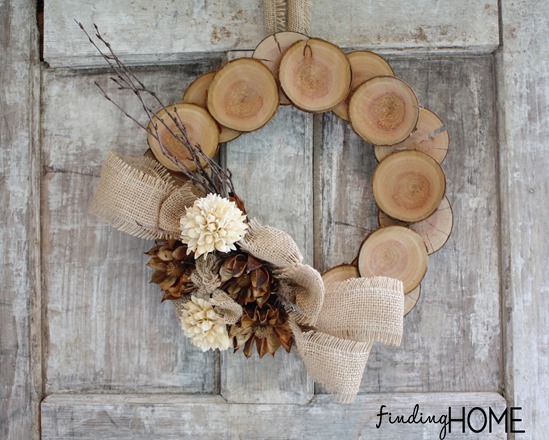 Make an original fall to winter wreath of wood slices. 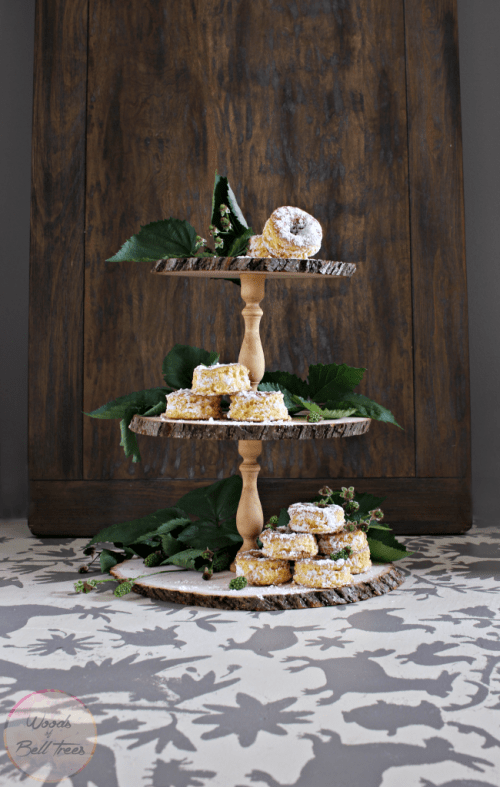 Attach your slices to a wooden wreath form and then decorate the piece as you want: with pinecones, burlap, ribbon, moss, greenery and so on. Planning a party? Then you need a cake or a cupcake stand! 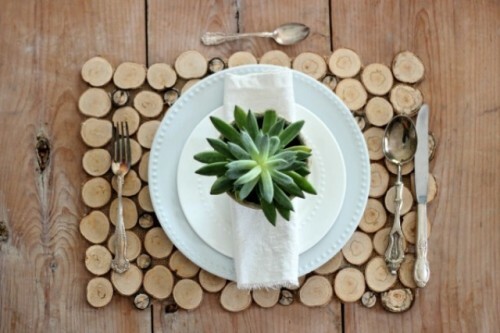 Make it of wood slices, first clean them and cover with some finish to your taste. Attach them to pots and place your cupcakes on the stand. Everybody needs coasters to keep the furniture in good condition. All the craft is about staining the wood slices and covering them with a clear finish to make them smoother. Voila! 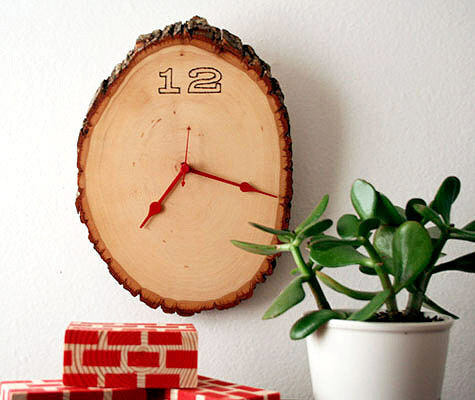 This real clock will make your interior a bit more rustic and playful. Find out how to attach a clock mechanism to the wood slice in the source. 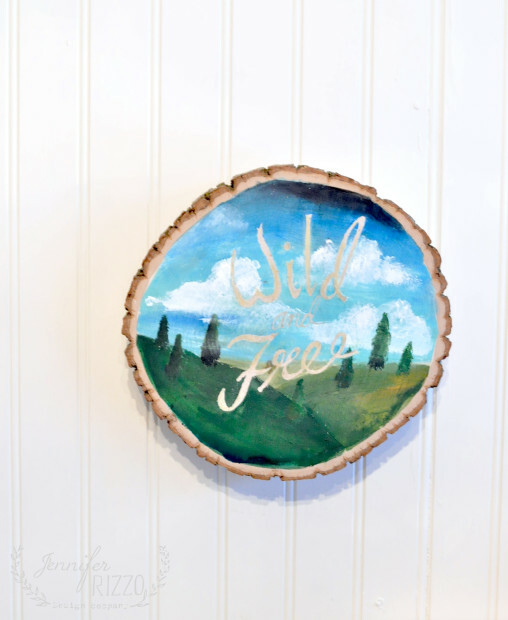 A wood slice art is a nice and cozy idea for every room, and they are beautiful themselves, no décor needed. 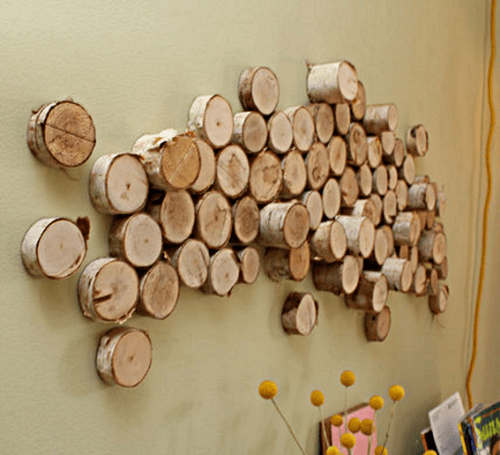 make a cool wall art using wood slices and removable adhesive picture hanging strips to put them on a wall. 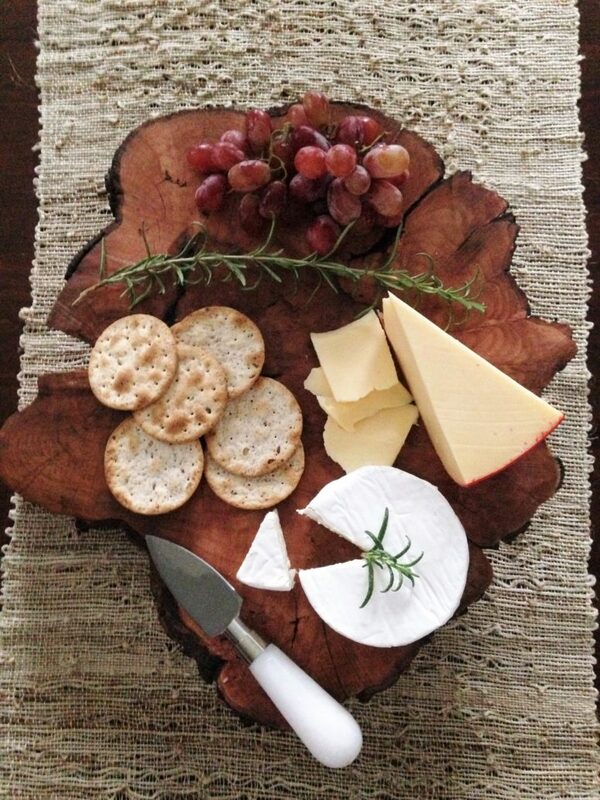 Another party DIY is this wood slice food serving board. You need to sand it smooth, stain or paint it the way you like and then attach vinyl pads to avoid scratches on furniture. Use wood slices instead of canvas for creating your artworks. Use acrylic paints to create a picture to your liking or transfer letters or images from paper. 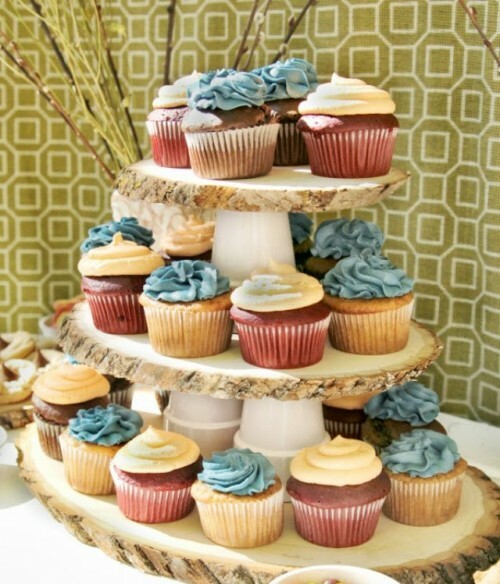 This three-tier cupcake stand can also hold some appetizers but not too heavy ones. 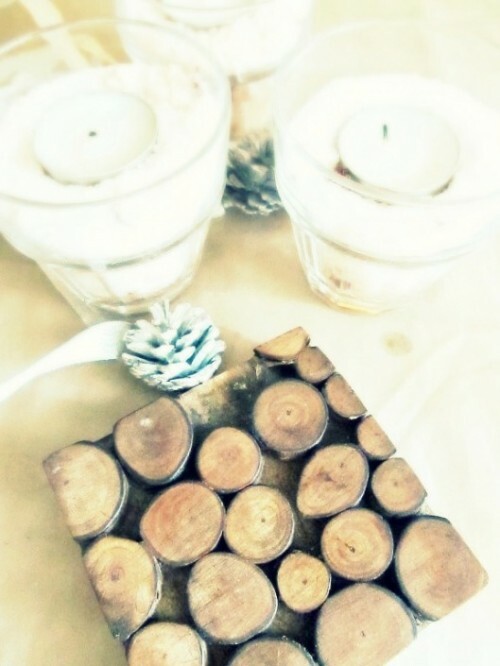 Glue wood slices to candle sticks creating a so-called tower, let dry. Staining and painting of the pieces is up to you. now just place your food on the stand. 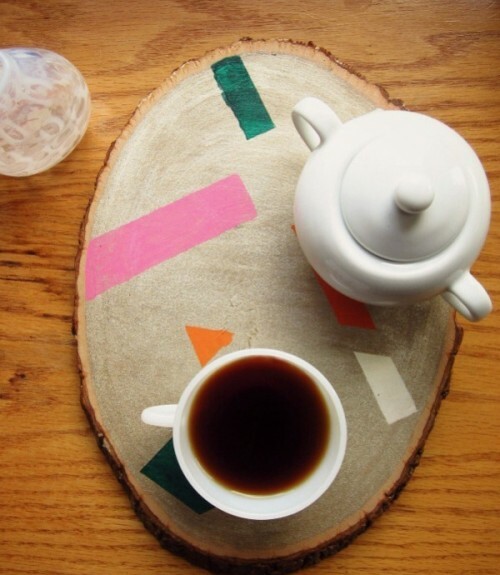 These birch slice coasters are the same as the placemat I’ve told you above. Glue the slices to a wood base you can make of any wood scrap. Rub some wood wax on the coaster in the end and it’d be ready for some action. 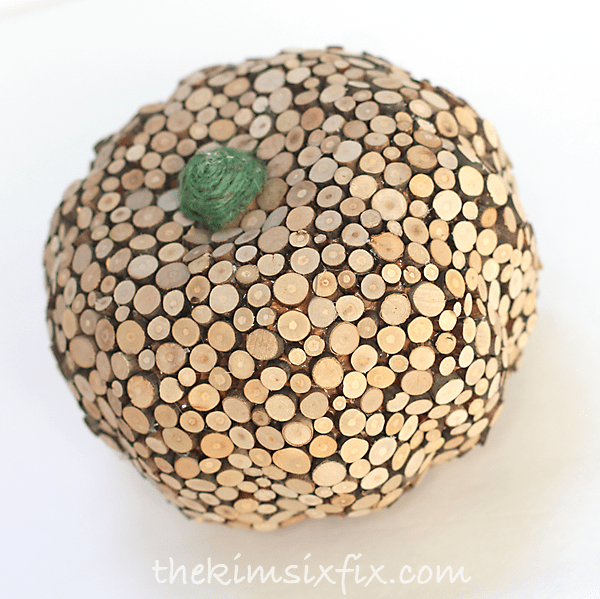 Pumpkins are the most popular type of décor for fall, Halloween and Thanksgiving, and this one is totally unique. It’s made of a dollar store pumpkin, to which wood slices were glued. The color and texture are stunning!